The event will be held in the Conference Room of Special Collections at the University of Reading. 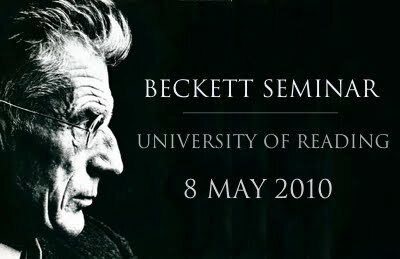 As in previous years, our speakers represent a mixture of both local and international research students as well as established scholars, reflecting the current research into Beckett's writing. It is our hope that the quality of the papers will, as in the past, attract a wide and varied audience. My thanks to Dr Mark Nixon for this bulletin.